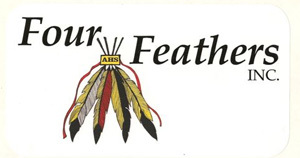 Four Feathers Inc. is a non-profit organization, which became incorporated in July 1996, and is governed by a Board of Directors. Our Head Start assists Aboriginal families with positive, contemporary and traditional teachings while addressing all six components of Education, Culture & Language, Nutrition, Health Promotion, Parental Involvement and Social Supports into our daily programs. Head Start provides supports so the children will have successful immersion into elementary levels of education, along with a sense of pride of their Aboriginal heritage. Four Feathers Inc. is for young Aboriginal children, ages 3-5 years, residing within the Gilbert Park community and surrounding area. We provide a bus service for children within our catchment area (Inkster to Selkirk/King Edward to McPhillips). Our morning program is from 9 to noon, with our afternoon program from 1-4, Monday to Thursday. We provide a full breakfast for the morning program and a full lunch/snack for the afternoon program.